Missing senior Henry Holst has been located, safe and sound. Thank you for RTing. This alert was originally posted by the Vancouver Police, please see their site for updates. 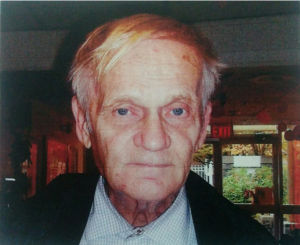 The VPD is requesting the public’s help to locate a missing elderly man with dementia. Seventy-year-old Henry Holst was last seen yesterday just before 6 p.m. in the area of Main Street and East Hastings Street in Vancouver. Mr. Holst is white, 5’5″ tall, 130 lbs, with grey balding hair. He was last seen wearing a black jacket, white and blue striped polo shirt, and black pants. Mr. Holst may appear confused or disoriented. If you see him, please call 9-1-1 and stay with him until help arrives. Posted in 2017 Alerts and tagged Vancouver.